Whoever came up with the idea for quiche was brilliant. A savory, creamy custard in a flaky pie crust~ yum! 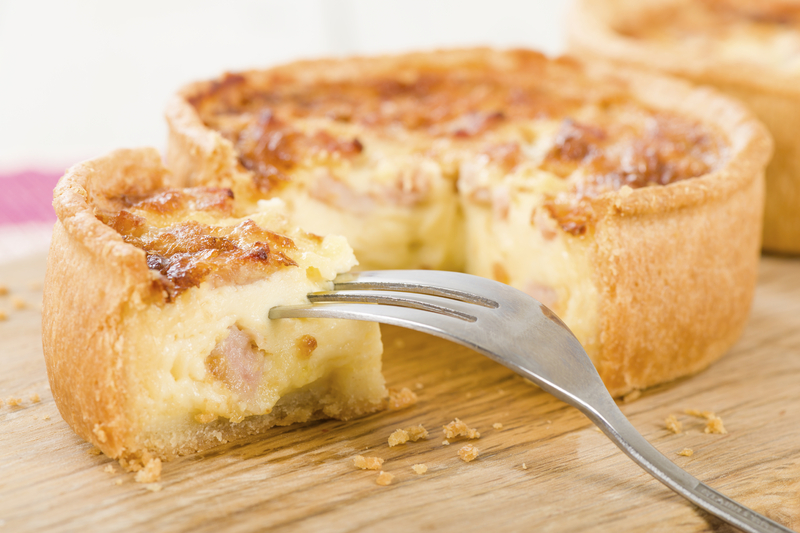 Historians believe somewhere along the french and german border the quiche was born. When I think of quiche, I think of the French. A typical lunch for the french woman could very well be a slice of the baked custard along with a green salad. Quiches are a great way to get vegetables into your diet and at the same time have something decadent. I also love to make a quiche and then portion and freeze slices to pull out for a quick and delicious dinner. I came up with a version of this recipe earlier this week in my test kitchen. The feedback was so great that I decided to adapt it and make a beautiful quiche. This recipe has a southern flare with the corn, bacon, and sweet potato. It is a great recipe for brunch or (as said above) like the french do paired with a salad for lunch or dinner. Of course you don’t have to make your own crust, however, I have provided you with my recipe. This is a perfect blend of decadence and health. 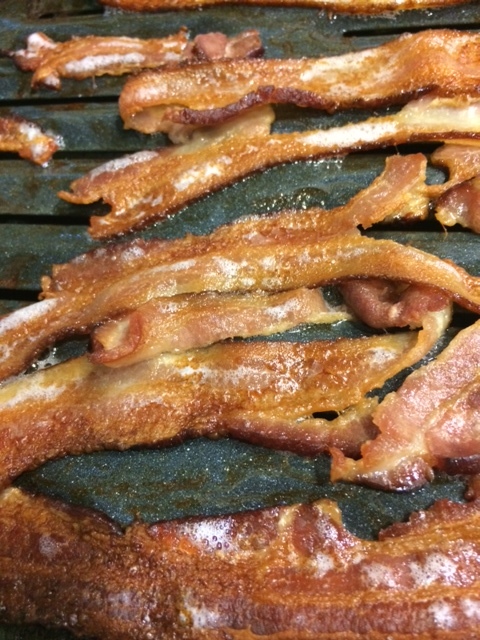 I lay bacon slices on a sheet pan and bake at 425 degrees F for 15-20 minutes. At this point you will want to blind bake your pie-crust. 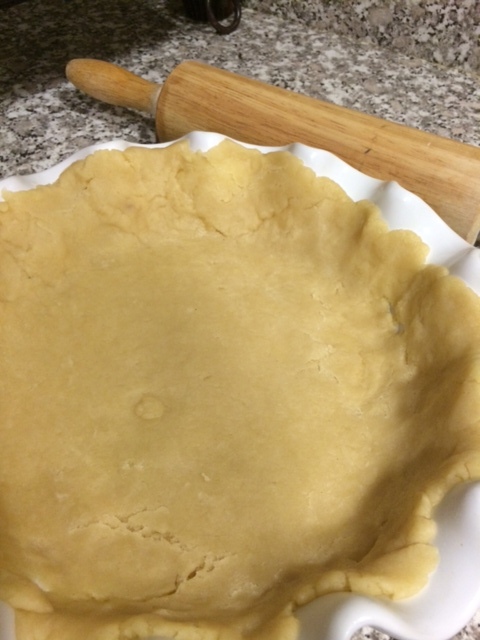 Place pie-crust in a 9-inch quiche pan, and put a piece of parchment over. 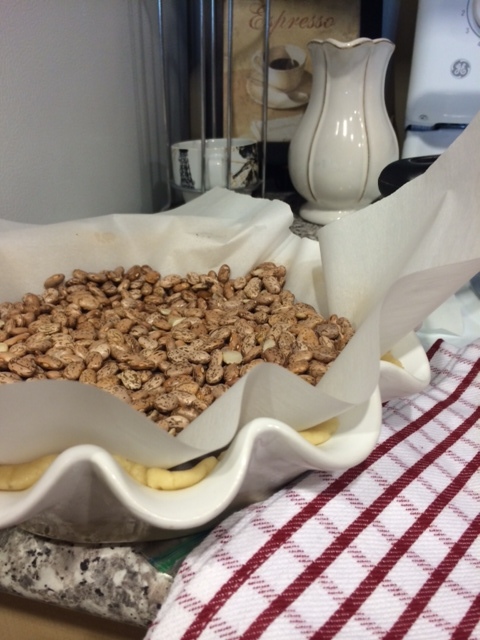 Cover with dried beans and bake for 20 minutes at 425 degrees F.
Next combine ingredients to make your quiche filling. Pour quiche filling into your par-baked pie-crust. Bake in a 375 degree oven for 50-60 minutes until the center sets and starts to get golden brown. With mixer on add vinegar, cold water and oil. Mix until well combined. 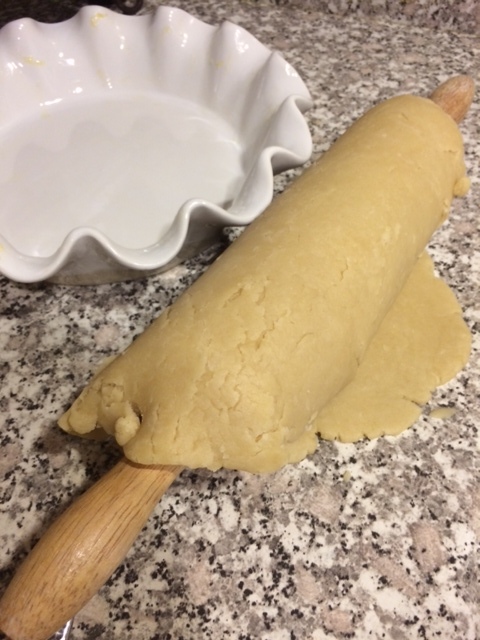 Refrigerate pie dough for 30 minutes or freeze and use at a later time. 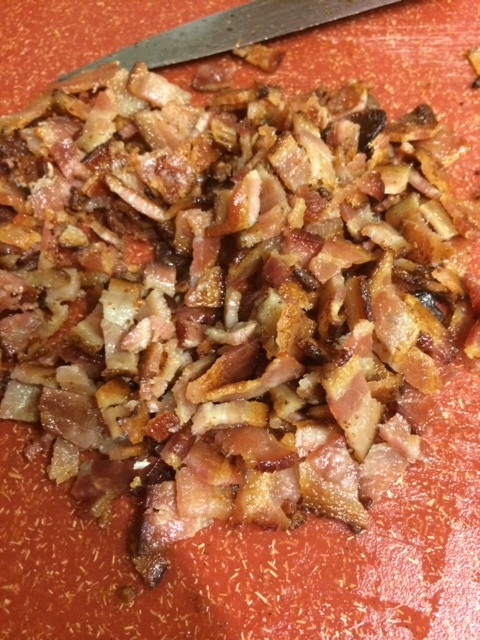 When ready to use roll out to 1/8 ” thick and form into buttered pie dish. Bake with pie weights or dry beans for 20 minutes at 425 degrees F.
Mix all ingredients together and pour into par-baked quiche crust. Bake at 375 degrees F for 50-60 minutes. Top should be set and golden brown.